China – Africa Silk Road Tourism? For example, Nigeria – Shanghai Tourism, Guandong – SA Smart Tourism, China – Africa tourism start ups, HK – Maghreb reasonable Tourism. Become our African agent or blogger in China – Africa to win money with us. If you have any good idea about reasonable Tourism related with Industry 4.0? make money together. By rail, Chinese are starting connecting with Europe and Rest of Asia. 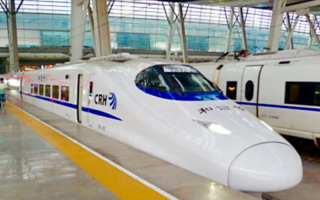 The proposed China-Thailand Railway is set to have enormous benefits to Thailand. Thailand’s cabinet this week approved a draft contract for the construction and design of the first phase of the country’s high-speed railway project with China. The 252 km high-speed railway will link the Thai capital of Bangkok and the northeastern province of Nakhon Ratchasima and is scheduled to be operational by 2021. The project will be a legacy project. Laying the foundations along the new Silk Road for a comprehensive modern rail network that will help meet the demands of domestic and international cross border traffic. From a domestic or regional perspective, the project is set to substantially benefit Thailand in the long run. Poor railways in Thailand have proved insufficient in supporting economic growth in the country’s remote and less developed areas. The Chinese Embassy in Bangkok announced that construction work is slated to begin as soon as October, once China and Thailand sign two contracts next month that cover design and supervision expenses. •The first phase will link the Thai capital, Bangkok, with the northeastern city of Nakhom Ratchasima, which is set to start operation in four years time. The construction of the 252 km stretch of the 250 kph high speed rail project is estimated to cost THB 179 billion (USD $5.2 billion) all of which is to be raised by the Thai government. •The project’s second phase will cross borders and connect to the China-Laos rail line, which is currently under construction. This second phase will run from Nakhon Ratchasima to Nong Khai on the Thai-Laos border to connect with the China-Laos railway to form the main line from Bangkok to Kunming. •The third phase of the project will connect China’s southern city of Kunming with Bangkok and Vientiane, the capital of Laos, by high-speed rail. An 867 km dual-track railway, with 1.435 metre standard gauge and trains operating at top speeds of 180 kph. The railway is part of China’s ‘Belt and Road’ initiative. The Belt and Road Initiative refers to the Silk Road Economic Belt and the 21st Century Maritime Silk Road, aiming at building a trade and infrastructure network connecting Asia with Europe and Africa along the ancient trade routes of the Silk Road. The line will link the Thai-Laos border to Bangkok as well as Thailand’s main deep-sea port in eastern Thailand. A boon for cargo and cruise ships. China as major trading partner for Africa? China first in Africa 4.0 via OBOR and more. Time to OBOR, now the TPP died. Is China – Africa 4.0 a key for a new World Order? You are in import export business? not trying to tap OBOR to Africa? Tap OBOR to Africa and/or China – Africa 4.0 Trade. Chinese – African richest business 4.0 towards a new World? Chinese - Africans relation isn’t one of the keys to change the world? Africa ready to awaken the roar of China in Industry 4.0? China – Africa in Fourth Industrial Revolution. China – Africa 4.0 as a Belt & Road virtually by Sylodium. Shipping fresh from China to African? FIR projects from China and Middle East to Africa. Africans – Chinese Shipping 4.0. Africa importing USA agro technology 4.0 for fresh veggies. Chinese Farm systems for Africa. Chinese Shipping companies to African ports. Start your Reefer business 4.0 from China to Africa. Dominate virtually China - Africa Reefer Trade. Your own Web at China – Africa reefer industry? Your own Web at China – Africa international loans? Owning the niche China – Africa Belt and Road? Is China Really Helping Africa? Can Africa tap Chinese laser industry? Can China urges efforts to help tourism in Africa? Is better China than USA investing in your African country? Strategic Chinese railway in Africa. China - Africa LED trade increasing. China’s Belt and Road redrawing global trade? ‘Chinafrica’ megatrend: China shipping hubs in Africa.